New York Managed IT Services for Businesses | IT Support NYC : Consolidated Technologies, Inc. Putting our IQ to work for you. At CTI, we believe that no matter how valuable business communications are to our clients, the experience is only as good as its availability. To ensure our customers experience nothing less than maximum uptime, CTI offers CTiQ Managed IT Services. From simple alarm receipt and notifications, to 24/7 Monitoring & Management, CTiQ Managed Services has a program and the certified professionals on hand to keep your business communications running smoothly. Get a Free Consultation From An Expert Today! You must protect your mission-critical platforms and data to enable your business to thrive every day. Secure those platforms with managed IT support services from Consolidated Technologies, Inc. in NYC. We can monitor, maintain and safeguard all the platforms you use to reduce the likelihood of failures that can cost you time and money. Keep your customers happy, give your systems the security they need to operate and empower your team to succeed with managed services for businesses in New York and throughout the tri-state area by partnering with CTI. Let us eliminate your business’s downtime and keep your IT running smoothly. People Positioned for You CTI Certified Engineers have an average of 20 years of Unified Communications Management experience, and continue to maintain their Certification levels, which is a critical requirement of an Platinum Level AVAYA Business Partner. Process Centered Around Your Needs CTI has been delivering support services for over 19 years, and has honed its communication and case management processes, enabling us to consistently deliver against our Client SLAs. Tools to Get the Job Done CTI uses Nectar Converged Management Platform, the most comprehensive Unified Communications management platform available. The CTiQ Intelligent Management Platform (IMP) delivers proactive, centralized network and telephony system management, providing CTI’s network operations staff a single integrated view into our customers’ voice and data networks. IMP managed services technologies empower CTI’s certified and expert personnel to remotely monitor and manage the administration and performance of Avaya implementations across the country. 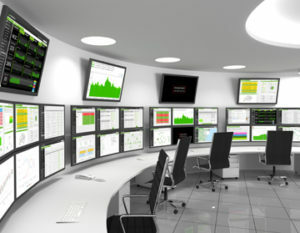 Led by a customer-specific Engagement Manager, CTI’s network operations center delivers distributed, enterprise 24/7/365 coverage and leverages the proven capabilities of CTI to design, implement and maintain national communications environments based on the Avaya Aura Communication Manager, Aura Session Manager, and Avaya Ethernet Routing Switch platforms. We leverage our people, processes and tools to provide service that is amazingly proactive. With CTI monitoring your systems, our experts will often detect a potential issue before you notice it and correct it before it becomes a problem so that your productivity never skips a beat. Now that’s smart managed IT service. Keep networks operating at peak efficiency, with smart server management, using the industry’s top tools. You’re protected with dynamic routing, integrity analysis, maintenance and continual updates on every server we manage. CTI has a plan for every server and every business need, allowing you to comfortably rely on your data whenever you need it most. Managed IT services for New York SMBs and Enterprise partners needs to work for you in every situation. That’s why CTI has a large team of certified help desk technicians who can help diagnose and resolve any issue, large or small. Customer satisfaction comes when jobs are complete. At CTI, we ensure that final piece of each assignment is addressed by making a commitment to exceed every project we do for you. Through constant remote monitoring, maintenance checks, alarm notifications and active intrusion prevention, we empower your network to operate more safely. You set the reporting needs and we supply full compliance assistance, security monitoring cloud computing management, risk assessments, desktop monitoring, event correlation analysis and much more. Trust our sophisticated network architecture and constant vigilance to be your threat against 21st century threats. 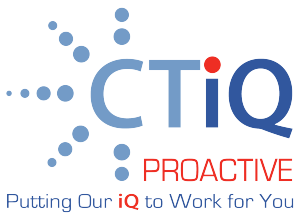 Always know how your systems and applications are working with CTI’s proactive managed services for New York firms. We’ll keep 24/7 watch of your systems to ensure they are at peak efficiency and conduct audits to identify areas of potential risk. Understand where you’re at your best and learn about areas for improvement across WAN, LAN campus and wireless networks, plus all the applications and information you send across them. Monitoring can include applications, networks, security, individual PCs and other hardware, servers, data centers and more. Your business will always be adding new devices to your network, many of today’s top enterprise networks can have networks with thousands of devices. Don’t give your IT team the overwhelming task of trying to manage and look for bottlenecks on their own. With our managed NOC, you’ll have 24/7 support to identify and remove hurdles, diagnose events as soon as they happen and keep your entire infrastructure up and running as you need it. In today’s world, applications and hardware from multiple vendors are supposed to work together in harmony, but that isn’t always the reality. Allow Consolidated Technologies, Inc. to put our vendor management knowledge together for you by removing data silos, creating interoperability and easing your team’s operations by making sure everything just plain works when you need it. Find out if Managed Services is right for your SMB. CTI understands that the apps and systems you rely on to run your business are only as good as the network infrastructure on which they’re founded. The solutions we offer are at the heart of the mission-critical networks powering the world’s leading banks, airlines, healthcare, education and government institutions. We help you with reliable, robust, scalable and financially smart networking solutions that support the collaborative real time applications you need. Explore our complete offering of networking solutions and discover a communications technology partner committed to your growth. A new dawn of technology innovation is driving unprecedented change. Mobility, virtualization, high-definition video, rich-media collaboration tools, and cloud computing are reinventing how businesses—and people—work. Enterprises that can harness these innovations will have new tools to drive business advantage and build new opportunities in the global marketplace. When legacy networks are pushed to the limit, they become fragile, difficult to manage, vulnerable, and expensive to operate. Businesses whose networks are at this breaking point, risk missing the next wave of opportunity. 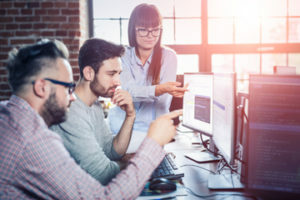 The outrageously high cost of IT operations due to legacy network limitations is sapping businesses’ ability to invest in innovative new services and products that will result in market differentiation and competitive advantage. HP estimates that more than 70 percent of IT budgets are spent to keep the lights on, which leaves less than 30 percent to deliver business-critical innovation. At Cisco customers come first and an integral part of our DNA is creating long-lasting customer partnerships and working with them to identify their needs and provide solutions that support their success. The concept of solutions being driven to address specific customer challenges has been with Cisco since its inception. Husband and wife Len Bosack and Sandy Lerner, both working for Stanford University, wanted to email each other from their respective offices located in different buildings but were unable to due to technological shortcomings. A technology had to be invented to deal with disparate local area protocols; and as a result of solving their challenge – the multi-protocol router was born. Since then Cisco has shaped the future of the Internet by creating unprecedented value and opportunity for our customers, employees, investors and ecosystem partners and has become the worldwide leader in networking – transforming how people connect, communicate and collaborate. To learn more about a networking Solutions, please contact your CTI Account Representative, or call 888-477-4284.